Urinetown, directed by Craig Griffen was listed in the Top Five Musicals of 2018. Jethrro Pidd won Best Supporting Actor in a play for his role in Wonderful World. Urinetown took home 6 awards in the musical categories. 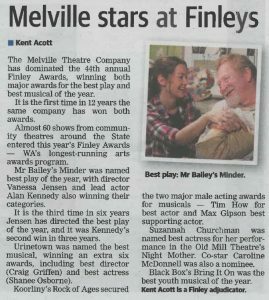 Mr Bailey’s Minder took home three awards in the play categories. 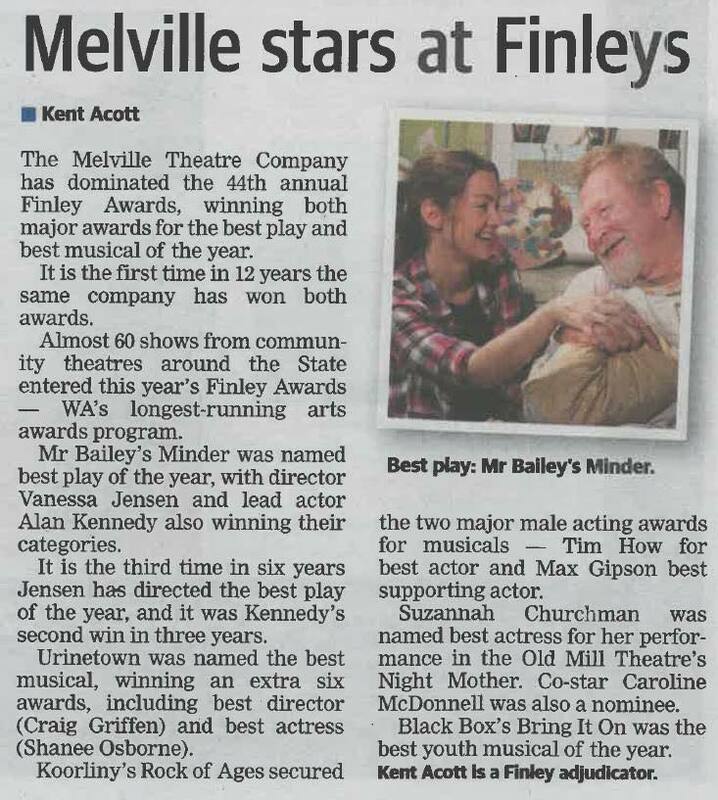 Melville has won the Robert Finley award six times. Those of you who’ve been around the theatre a while will remember the late Edna Ford, selling raffle tickets before the show and thumping away on the piano at interval. 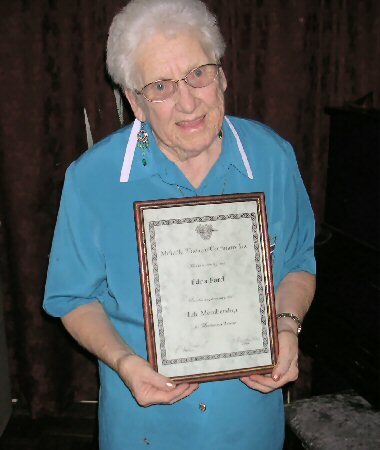 Click the soundcloud link to hear Edna’s story, as well as some of her piano playing.